Stravaigin is one of my favorite restaurants in Glasgow. At the forefront of the “think global, eat local” movement long before it became fashionable, its name comes from the Gaelic and means to wander; but in the good way, as in following your bliss – or your palate. It’s an eclectic establishment, with a menu that careers from traditional Scots dishes to Thai curries to Vietnamese pho and back again, making multiple multi-cultural stops along the way. They have their fingers firmly on the foodie pulse so it often fills up quickly with curious customers willing to become gourmet guinea pigs. I had my first taste of roasted rook (aka crow) here a few years ago and became hooked – not solely on the food but also the curiosity behind it. 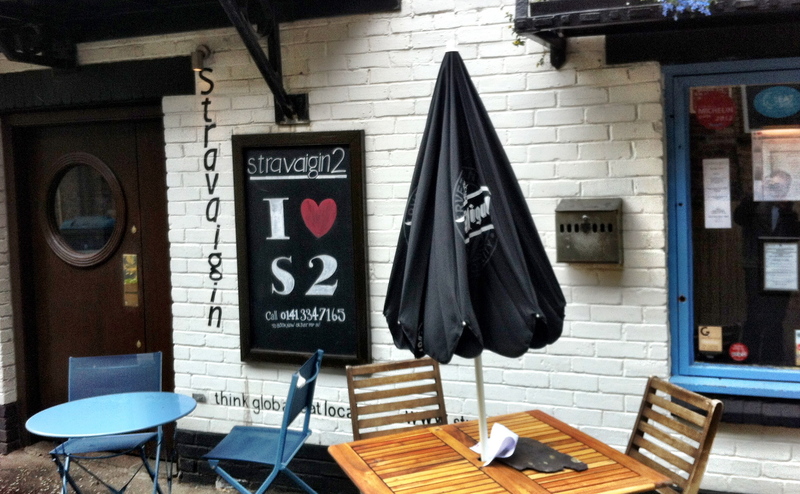 In search of sit-down lunch this afternoon, I happened upon Stravaigin 2, the restaurant’s more casual cafe in Glasgow’s West End. 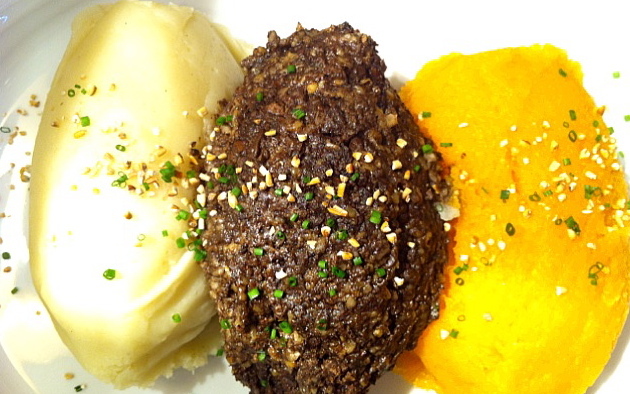 And once I saw haggis, neeps, & tatties at the top of the menu I knew it’d be pointless to bother looking any further.